If you've been to Arts and Letters Daily the past week, you'll notice a memoriam to co-founder Denis Dutton on the left side of the date banner. The American in New Zealand academic passed away just before the new year from cancer, and like many interesting minds, will probably now find just appreciation for his work. Perhaps unexpected was such a kind and amicable man behind the sign. So warm and welcoming, after making good on his claim, he was given an opportunity to communicate his story to the public. The video went viral and he has since tidied up, received numerous job offers, and has reunited with his mom. It's his personality as much as his voice that has propelled his story. Equipped with partial stab and bulletproof armor, tasers, mace, tear gas, as well as military and mixed martial arts backgrounds, they are as close to street-level superhero as it gets. A few more slick gadgets and an anonymous bankroller and Batman is realized. 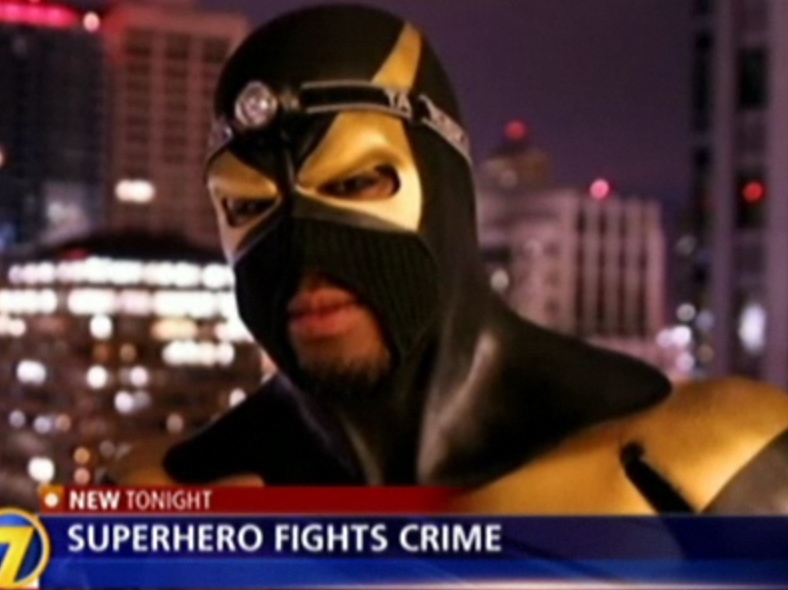 Phoenix Jones and his cohorts are part of what has been a recent trend of superhero self-identification combined with civic samaritanism. Other groups like the Real Life Superheroes make a point of stating the intent and general harmlessness of their deeds, and though like Batman I'm sure more than a few aren't above quenching their street vigilante thirst, I don't think I see any harm other than their potential injury and possible police embarrassment. Not so much unique people, though they could be, but rather a unique situation: French kids trying to make sense of old technology.